My Boogie man wanted me to make him some slippers, so I thought I'd try just freehanding them. 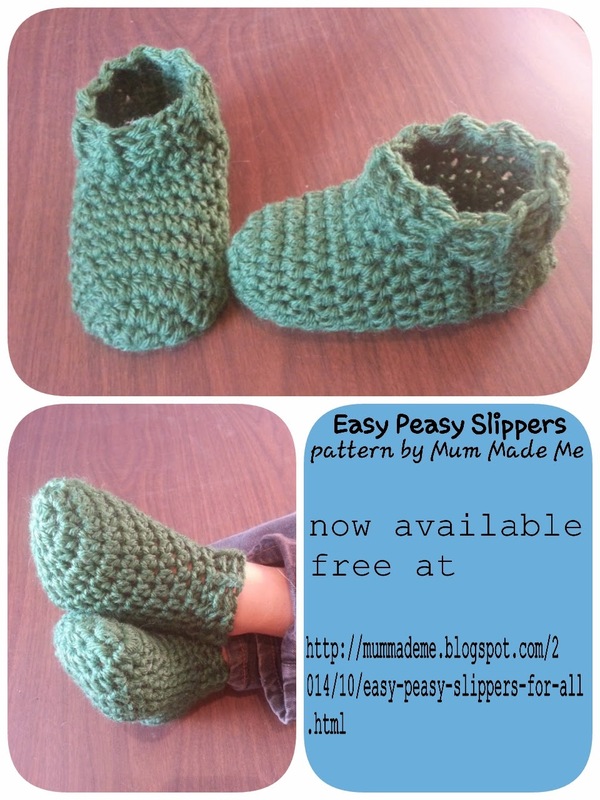 Since I wrote down the pattern as I went along making the first one (so they'd be exactly the same lol) I thought I'd post it on here for others who want an easy, quick pair of slippers. 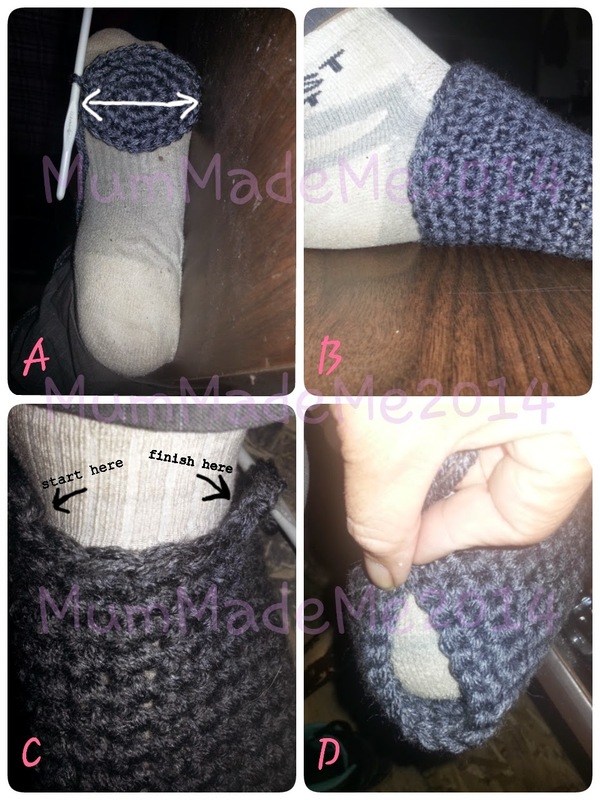 Rnd 1- Join yarn with ss to first unworked st of last round *Next to "finish here" in pic C*. Ch 1. Hdc evenly around, working 1 hdc per row along sides. Ss to join.